The first (and probably last) look at World 3 of SUPER III, prior to the launch of our Kickstarter campaign. WIP Preview of one of two block mechanics in World 3. Zack has been hard at work trying to get the first SUPER III boss battle to feel right. The biggest challenge has been just that: challenge. This dude is either tough as hell or a walk in the park. If you don’t mind spoilers, check out the vid below. It is not very often that fan art comes along this early in development so I thought that I would showcase it here! 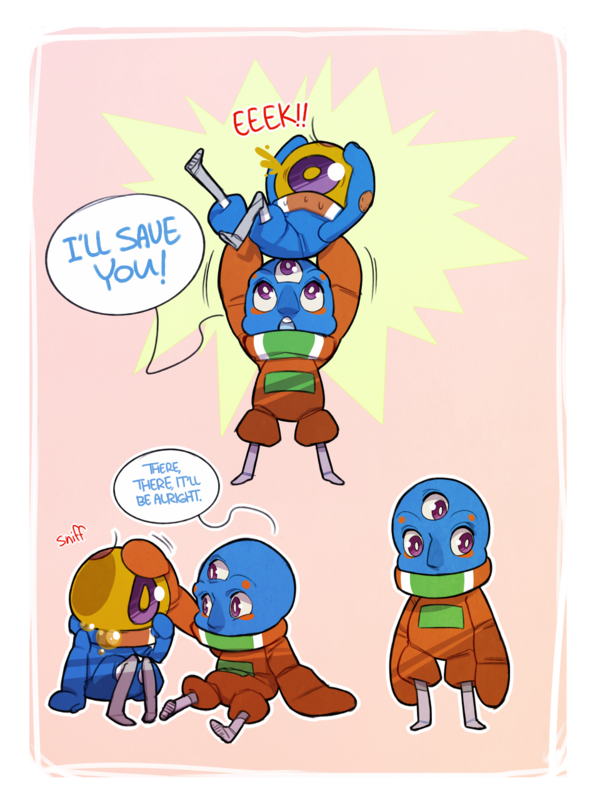 Check out these drawings of III (main character of SUPER III) and some of the survivors that players will be rescuing along the way. You can check out more of Lina’s stuff on her Tumblr page, or by following her on Twitter. Hello and welcome to the official SUPER 91 Studios website! We are a small independent game company located in Seattle, WA. I would like to introduce you to our first commercial product, SUPER III. 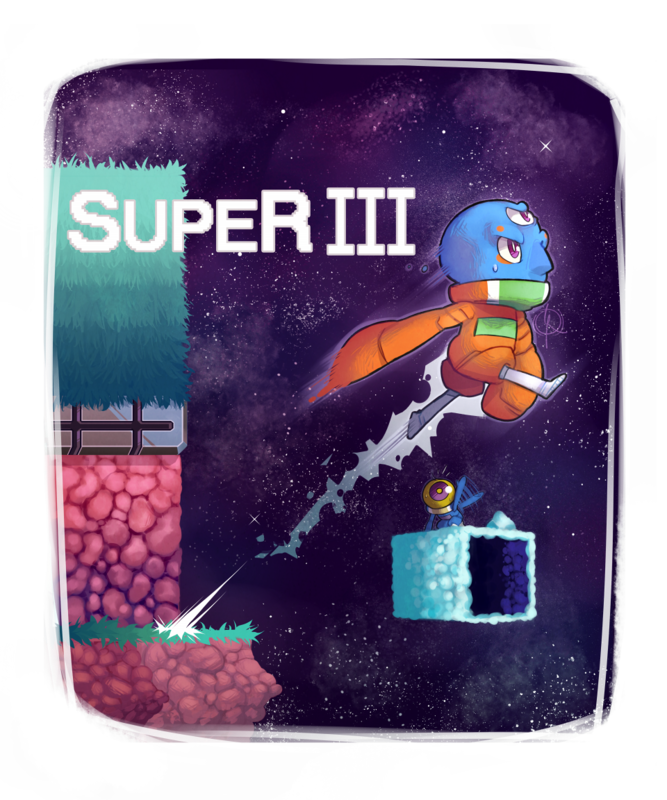 SUPER III is an action/puzzle-platformer that utilizes both a teleportation mechanic and screen-wrap. 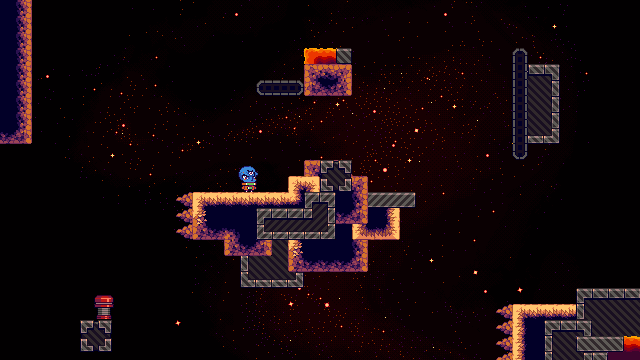 You play as an alien named, III (Three), who is given the task of cleaning up and rescuing survivors after an all-out, galactic war. The game is only six ish weeks into development and the team is hard at work planning our Kickstarter campaign and our Steam Greenlight page. We are also working on the alpha build of the game, as quickly as possible. You can visit our devlog if you want constant updates or you can follow us on Twitter. We thank you for your support and we will now be updating the web site more frequently!